Bloomable (formerly SA Florist) makes it really easy to send flowers and gifts to Bedfordview. Celebrate that special birthday by sending your friends or family a festive bouquet of fresh flowers - Inca lilies, Gerbera daisies, carnations and chrysanthemums are always favourites –with a cheerful Happy Birthday helium balloon and a bottle of sparkling wine, all beautiful arranged by our expert Bedfordview florists. Spoil the love in your life with a stunning arrangement of roses, a cuddly plush toy, bottle of bubbly and a personalised card expressing your love. For those who have just welcomed a new baby to the family, why not consider our special baby hamper packed with all the essentials for baby’s first week at their new home. We also have a wide range of other snack packs featuring nuts, sweets, nougat, chocolate or wine and gift hampers that will appeal to all. There is something for everyone! For those more solemn occasions, we have traditional arrangements of white St Joseph’s lilies or chrysanthemums to which you can add a heartfelt card to express your condolences or apology. All our bouquets and arrangements are prepared using only the freshest flowers by our professional Bedfordview florists. Our site has been built with the latest technology and designed to ensure the entire ordering process is secure, quick and smooth. 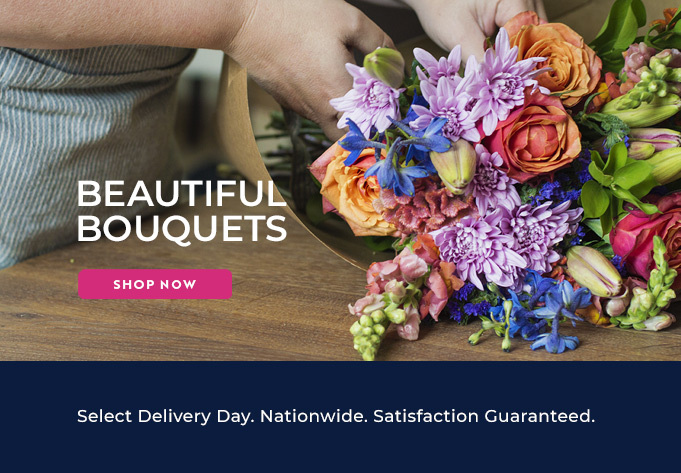 Try Bloomable (formerly SA Florist) today!